Some people don’t look forward to school, but I can’t wait for my classes! 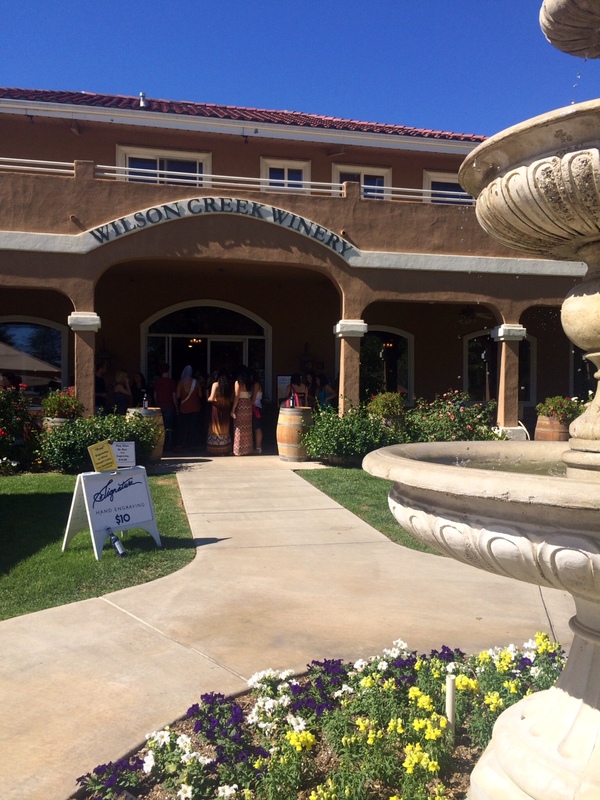 I’m enrolled in the San Diego State University Business of Wine certificate program and so far I’ve learned about Australian wines, pairing food and wine, exploring all wines and regions, wine faults and flaws, and now just finished the class “Wine Making” held in the Wilson Creek Winery in Temecula. Next up is an intensive class on French wines. Classes taught by Sommliers, winemakers, and wine experts with years of experience to share. Oh bummer, I have to go to class again and taste more wines. 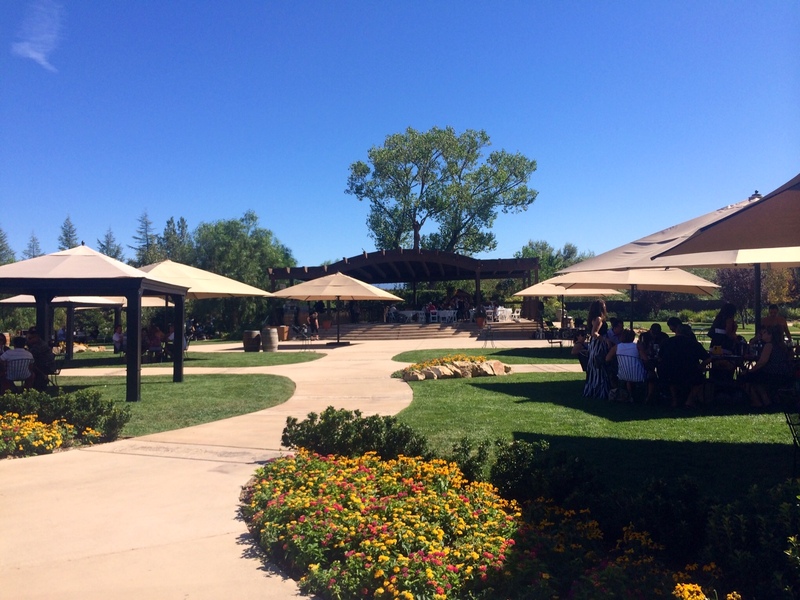 I’ve been to Temecula before but this was my first time at Wilson Creek. I expected to see all about making champagne as they are famous for their almond and other flavored champagnes. Turns out they don’t make champagne here – this is a smaller winery producing nearly exclusively wines to be consumed on site with yearly production about 35,000 cases. The grounds are beautiful with gardens, fountains, cabanas, a restaurant – perfect for a reunion, birthday party, or wedding. The day I was there two weddings, a bachelorette party, and a bridal shower were in full swing. The vineyard has 70 acres with 90% in production. 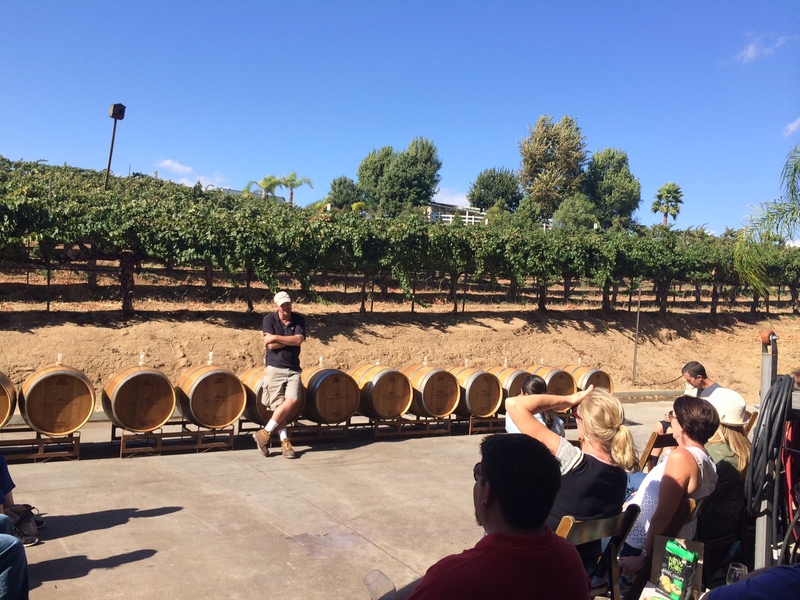 Harvest started early this year in August and our class was treated to seeing the fermenting, fining, and oak aging in process.Some of the oldest plated vines in Temecula are here – a Cabernet Sauvignon was planted in 1970. 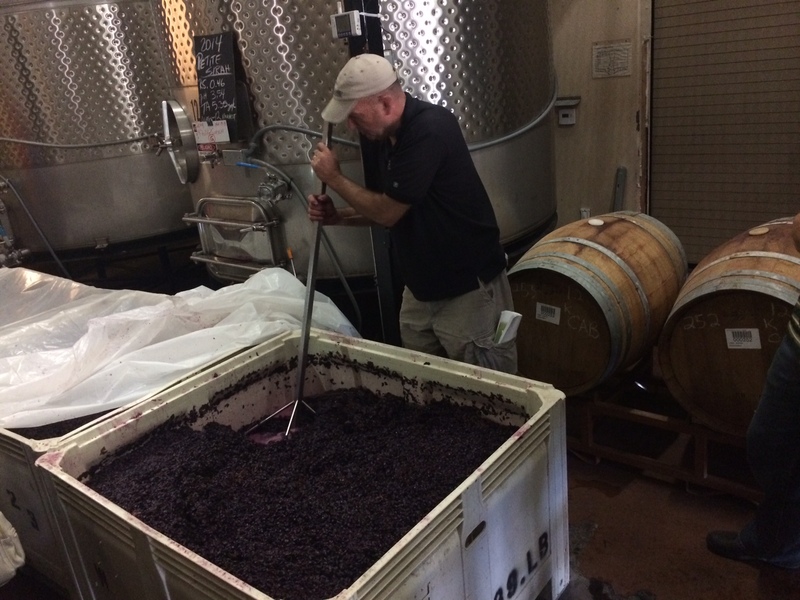 What I learned about winemaking is that I don’t want to be a winemaker! It’s a very complicated, tedious, lengthy business. I much prefer the tasting part. 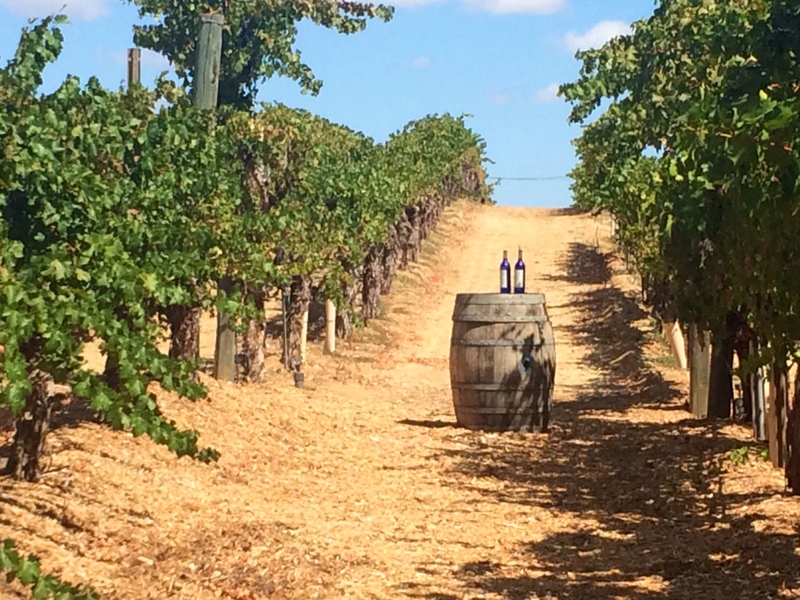 As we walked through the vineyard we heard about all the possible things that can affect crops – mildew, diseases, rodents, birds, and Nematodes – tiny worms that attack the roots of the vines. Here 1/3 of the wines made are white and 2/3 red. 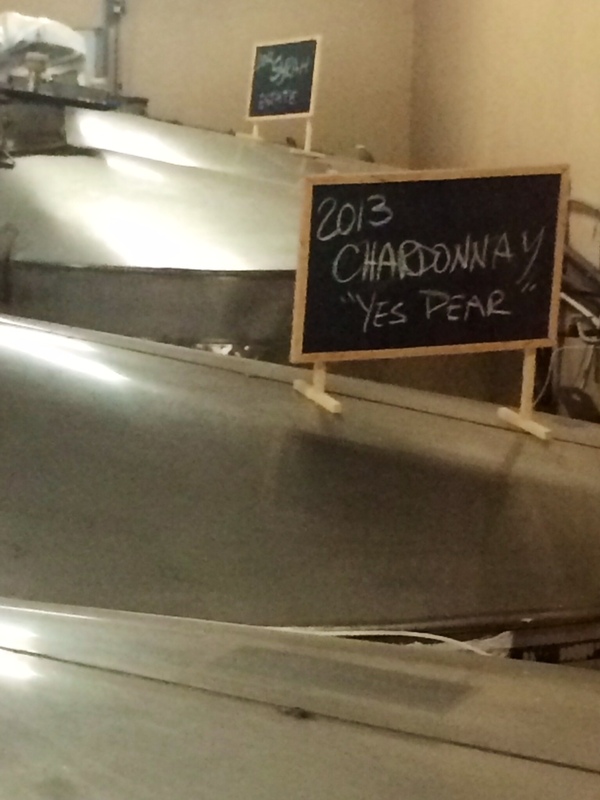 I tried the “Yes Dear” Chardonnay in the oak barrel, from the fermenting tank, and in finished form. The name comes from the owners wife who wants it made a certain non typical way. “Did you make the Chardonnay the way I like it?” she asks, “Yes Dear” he replies, and there’s the history behind the name. Kestutis “Gus” Vizgirda, has been a winemaker in the region for many years and was gracious to share his knowledge of winemaking. Gus teaches at least three classes in the program and has exudes his love for the craft. 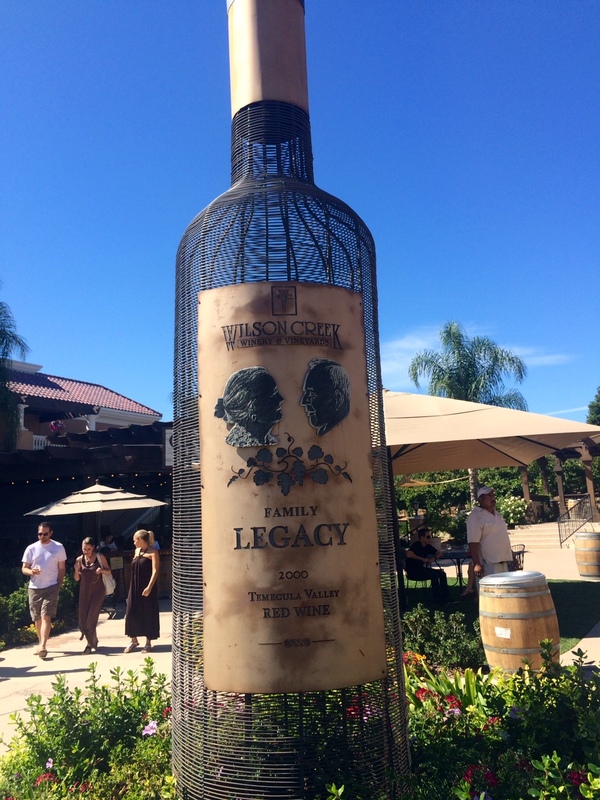 We were treated to a special taste of ports and sherries that have been aging for years. 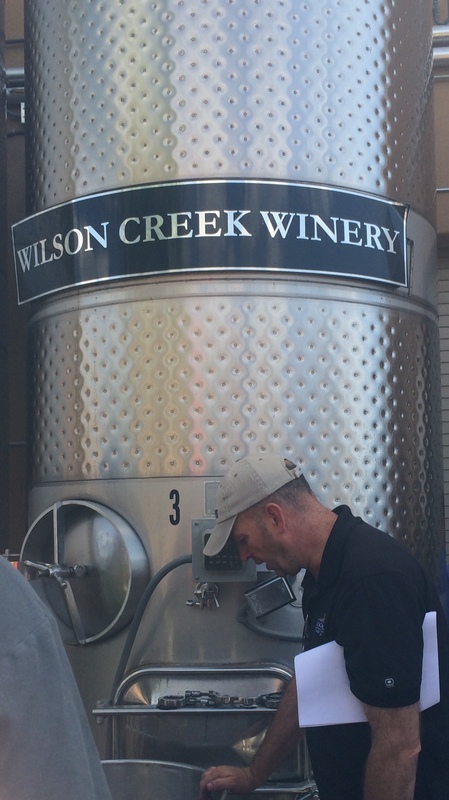 We were also introduced to “Chilly Billy” who is in charge of the refrigeration here – a very important job in Temecula wine country. Gus invited us “Alumni”, now part of his “wine fraternity” to come back in January to watch the bottling process. I’ll be there for sure.